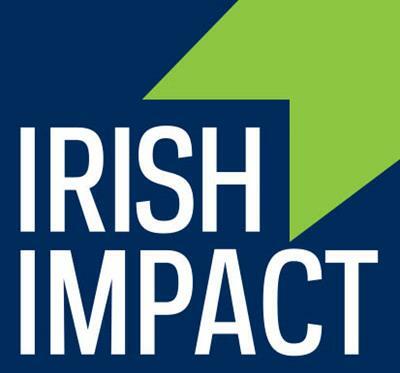 The Gigot Center for Entrepreneurship is pleased to welcome you to campus for the 2014 Irish Impact Social Entrepreneurship Conference! This free event kicks off with our keynote speaker, Dr. Jordan Kassalow. 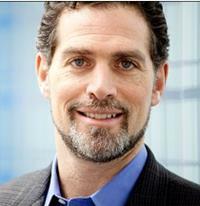 Dr. Kassalow is the founder and co-chairman of VisionSpring, a not-for-profit social business that ensures affordable access to eyewear everywhere. His organization has helped more than two million people attain eyewear that would have otherwise been unaffordable to them. Don’t miss this exciting opportunity to witness thought leadership at its finest! Conference registrants can apply to participate in/or attend the Zielsdorf Family Pitch Competition. Also on the agenda is the distribution of the Haley Award for outstanding social entrepreneurism and impact. While the event is free, tickets are required. All who register to attend will receive a commemorative SustainU t-shirt. SustainU is a social enterprise founded by ND alum Chris Yura. Irish Impact is sponsored by the Gigot Center for Entrepreneurship and Fellow Irish Social Hub (FISH), with generous support from The Robert L. (ND ‘65) and Frances J. Zielsdorf Foundation, which provides support for health care, education, and hardship and emergency grants to deserving people in Indian River County, Fla.; Shelby County, Ohio; and Cheboygan County, Mich. Longtime supporters of Notre Dame and its Center for Social Concerns, the Zielsdorfs view the opportunity to underwrite the Irish Impact Conference as a way to support the growth of social entrepreneurship and to help instill the idea that elements of capitalism can be harnessed as a force for good. If you would like to unsubscribe, click here. Power Partners USA had our first Power Partner B2B private networking lunch specifically for Keir Jones of Keir Jones State Farm Agency. We selectively invited four of Keir’s Power Partners and were able to make valuable B2B introductions and connections. Business categories represented included Real Estate Brokerage, Real Estate and Business Law. Besides being Power Partners for Keir’s insurance business, the professionals in attendance were also Power Partners of each other. The lunch setting and selective, targeted approached allowed for a very productive meeting. If you would like your own targeted Power Partner lunch, please contact Alan Armijo of Power Partners USA. Why Am I Receiving Power Partner USA Introductory Videos? You receive periodic emails with links to interactive, introductory video only of those Power Partners who can provide a mutually beneficial business relationship with you, your contacts or clients. We target market and introduce B2B professionals only to those who can best provide each other repeat, referral business. Contact Alan at info@powerpartners.us if you would like to be introduced to additional Power Partners in our network. Spending a few minutes learning about these Power Partners will save time and money and be the starting point to Repeat, Referral Business. Power Partners USA coordinated our first 18 hole golf outing on August 6th at Recreation Park Golf Course in Long Beach, CA. Players were business owners and business professionals in Information Technology, Telecommunications, Insurance, Business Consulting and Banking. Recreation Park Golf Course 18 Description: Recreation Park 18, otherwise known as "Big Rec," is a classic Billy Bell-designed layout and is one of the oldest and most popular courses in Southern California. Recreation Park's clubhouse is a historical landmark nestled in the trees among beautiful rolling hills. Recreation Park 18 features a beautiful 18-hole layout with rolling terrain and various types of trees lining the fairways. I hope you are generating referrals from your clients. If you’re not you should be as referrals are one of the most effective, if not the most effective, way of growing your business. But know that once you have gotten the referral your job is hardly done. No, I’m not talking about contacting and selling the referred prospect, I’m talking about keeping your client in the loop. One of the primary reasons clients are hesitant to give referrals is that they are afraid of being embarrassed in front of a friend, relative, acquaintance or co-worker by you not performing as you should. So, when they do give a referral, they have a vested interest in what’s going on between you and the person to whom they referred you. Their interest isn’t in whether or not the prospect purchases but in how the prospect perceives you and the value being referred by the client. 1. The client will give referrals. Obviously, you just received one or more. 2. How well the client understands what you do. The quality of the referral will let you know how well your client understands what you do and who is a good referral for you. The better the referral, the more the client understands. The poorer the referral, the more work you must do to educate them for future referrals (and future sales to them for that matter). 3. How much they trust you. Generally, the stronger the trust relationship between the client and the referred prospect, the more the client trusts you. 4. They have more referrals to give. Seldom will a client give you all of the referrals they can make at one time. If a client gives referrals, you can almost bet they have more to give—if you keep earning them. 1. Giving your client the assurance that you’re trustworthy with referrals. You must show through your actions that their trust in giving you a referral was well placed by making sure that the referred prospect has an exceptional experience with you. 2. By keeping your client fully informed of everything that is occurring with the referred prospect. 3. By continuing to deliver superior service to your client. Does the above mean that you must perform perfectly with the referred prospect? What if there was an honest mistake or miscommunication? What if something out of your control happened during the course of the sale? Will these incidents destroy any possibility of acquiring additional referrals? The keys to gaining additional referrals from a client are to treat the referred prospect exactly in the same manner you treated the client and to keep your client informed of what is transpiring between yourself and the referred prospect. Your client gave you referrals because they understood that giving referrals was in their own best interests and because you earned them through the service you gave them. You must now demonstrate that same level of service for the referral they have given you. They expect—actually demand—you perform at the same level—or higher—for those they refer to as you did for them. That level of service you gave them was what demonstrated to them that they could trust with a referral. Anything short of that and they will reevaluate whether you should be trusted with additional referrals. That having been said, most clients understand that mistakes, miscommunications, and problems arise in business. A single issue during the course of the sale to a referred prospect, even a major issue, will not sever your ability to gain additional referrals from you client if you address and resolve the issue in an exceptional manner. Clients don’t expect perfection, they expect exceptional service—both for themselves and for those they refer you to. How well or poorly you handle the issues will be a major factor in determining your future refer-ability. Keeping your client informed of the progress of the sale with the referred prospect reassures them that you’re doing your job—and that all is well. It is also your source of informing them if there have been problems and how they were resolved. It is critical that you let your client know of issues involved with sales to prospects they have referred you to before the prospect has a chance to relate the incident. You can relate the circumstances and the resolution in the most favorable light—the prospect may not. This doesn’t mean that you can lie or gloss over it, just that you can give the background and the full resolution without the emotional involvement the prospect will have. Of course, if you’ve done an exceptional job of resolving the issue, the tale told by the prospect should also be impressive. However, you always want problems to be related to your client by you—you don’t want to get a phone call from the client asking what happened. Keeping your client informed doesn’t mean bombarding them with emails, phone calls, and notes. A simple “thank you for the referral” card immediately after receiving the referral and the occasional call or email will suffice. The object is to keep them in the loop and to reassure them that their referral was well made for both you and the prospect. Even better than the occasional call or email is to explicitly ask the client how and how often they would like to be informed of the progress. Clients are interested in what’s going on with the referrals they make. They want to know the prospect is being taken care of in the manner the client expected, and they enjoy knowing that they have provided you with a quality referral. More importantly, they want to know that they haven’t embarrassed themselves in front of an acquaintance.